Lofton discusses her book on the New Books in American Studies podcast. "In sum Consuming Religion is an elegant, critical, wide-ranging and thought-provoking account of religion and spirituality in America today." "Lofton’s Consuming Religion takes us through the Kardashians, cubicle design, and Goldman Sachs, among other phenomena, to reveal the relationship of religion and popular culture. At its best, this book feels like an exciting revelation about who and what we should be addressing in religious studies." "With big data and mass customization changing marketing strategies and transforming patterns of consumption at warp speed, Consuming Religion is a timely exploration of a world in which reality is branded. Unexpected connections and juxtapositions reveal religion in unexpected places and practices. To follow Kathryn Lofton’s romp through today’s mediascape is to discover the superficiality of pop culture to be surprisingly profound." "Kathryn Lofton’s Consuming Religion is a modern classic. It is the sequel to Durkheim’s Elementary Forms of Religious Life and is destined to be as enduring. Moving beyond stale debates on secularism, pressing us to see religion in new forms of modernity, Lofton takes us on a lively tour of religion in the everyday practices and institutions of consumer society. In the end, this tour de force leaves us with both a new respect for, and critique of, religion as consumerism and consumerism as religion." 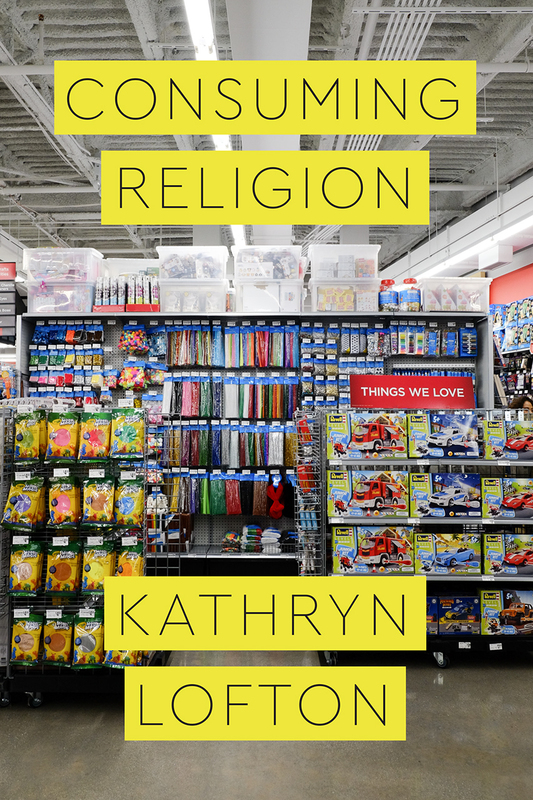 "Kathryn Lofton breaks wide the definition of religion, and in so doing, redefines the interplay between the sacred and the so-called secular—whether it's pop icons or parenting, the Kardashians or corporate culture. We have been waiting for a book that elevates the discourse about how marketing and faith collide and co-mingle. Consuming Religion is that book." "This book explores the 'hermeneutic territory' that opens up when scholars accept the 'commonalities' of consumer popular culture and traditional religions (xi). It is, ultimately, not a book about consumer culture’s effects on traditional religions, but about how corporate discourse, consumer marketing, and media celebrity themselves constitute forms of sociality that demand analysis by scholars of religion."